Some excellent news for all you GLOSS followers and contributors. A Lost Sheep has been found at auction, won at the bidding, and now returned to the fold at the Library at Chawton House! A book showed up at the auction house of Dominic Winter in the UK – it was described as having the Montagu George Knight bookplate on the front endpaper. A check of the spreadsheet and the Reading with Austen website found the book listed in the 1818 catalogue of Edward Austen’s Godmersham Park Library – all very exciting. After raising a few funds we bid on the book and thankfully, it stayed just below our limit – it is now back where it came from… Huzzah! Hanway, Jonas. An Historical Account of the British Trade over the Caspian Sea: with the author’s journal of travels from England through Russia into Persia, and back through Russia, Germany and Holland. To which are added, the revolutions of Russia, during the present Century, with the particular history of the great usurper Nadir Kouli, 2 volumes, 2nd ed, London: 1754. Volume 2 is titled The Revolutions of Persia. Estimate: £300 – £400 – sold for £560 + buyer’s premium and fees. Jonas Hanway (1712-1786) was born in Portsmouth, but moved to London after the death of his father. He was apprenticed to a merchant in Lisbon at the age of 17, later partnering with a merchant in St. Petersburg. This led to his extensive travels in Russia and Persia and the Caspian Sea, and later through Germany and the Netherlands and back to England. The rest of his life was mostly spent in London, where the narrative of his travels (published in 1753) soon made him a man of note. His other writings (seventy-four in total) were largely pamphlets of a society-improvement campaigning sort. Known as a philanthropist and involved citizen, Hanway founded The Marine Society; he became a governor and later president of the Foundling Hospital; he was instrumental in establishing the Magdalen Hospital; he procured a better system of parochial birth registration in London; and he was appointed a commissioner for victualling the navy. He died, unmarried, in 1786 and was buried in the crypt at St. Mary’s Church, Hanwell. A monument to his memory, sculpted by John Francis Moore was erected in Westminster Abbey in 1786. Of interest to those of us who love tidbits of social history, Hanway was the first male Londoner, it is said, to carry an umbrella (women had been using them since 1705 – now there’s a blog post!) and was often challenged by hooting hackney coachmen. He was opposed to tipping, had controversial engagements with Johnson and Goldsmith over tea-drinking of all things, supported solitary confinement and proper care for prisoners, and he worked on behalf of chimney-sweeps. What’s not to like about this fellow?! If you want to know more about our umbrella-carrying author, here is a place to start: Roland Everett Jayne, Jonas Hanway: Philanthropist, Politician, and Author (1712–1786). London: Epworth Press, J. Alfred Sharp, 1929. (Original Caption) The First Umbrella–Mr. Jonas Hanway Walking Out In A Shower. A hearty Thank You to all who contributed to our book-detective adventure! Alas! – still so many more Lost Sheep to be found…please keep your eyes peeled, and any contributions to the cause would be greatly appreciated! The Reading with Austen website focuses on the contents of the Godmersham Park library as noted in the 1818 catalogue of the collection. We know that Jane Austen read and rested in this library because her letters tell us so, and the RwA website has brought this long-ago library back to colorful life. So it is so very interesting a treasure to stumble upon other mentions of this library. The scholar Hazel Jones [HJ]* has been very generous in sharing her research into the diaries of Austen’s nephew Charles Bridges Austen (later Knight), who also spent time in this very library. Ms. Jones is writing a book on Edward Austen Knight’s sons, and in reading (and transcribing) Charles Bridge’s diaries (which are housed at Jane Austen’s House Museum ), she finds numerous references to his titles he is reading in the library. Charles Bridges was born March 11, 1803 at Godmersham Park in Kent, the 8th child of Jane Austen’s brother Edward Knight and Elizabeth Bridges. He was a commoner at Winchester* from 1816-1820, attended Trinity College, Cambridge and was ordained in 1828. He was the curate of West Worldham in Hampshire and rector of Chawton from 1837-1867. He died unmarried on October 13, 1867, aged 64 years. He is buried in the graveyard at the St. Nicholas Churchyard in Chawton (Section B: Row 2. 70 ). Here are the books in the library that Charles mentions, continuing in his dairy marked number 2. As noted before, not all these books were in the 1818 catalogue, often being published after that date, and therefore not part of the RwA project. But I list them just the same, as it shows the continuing depth and use of the library in succeeding years, as well as Charles’s reading habits and often humorous commentary. We must also consider that Charles had his own copies of books and why they do not appear in either the 1818 or 1908 catalogues. Basil Hall. Travels in America, 1829, etc..
Fragments of Voyages and Travels, including anecdotes of a naval life: chiefly for the use of young persons. By Captain Basil Hall, R.N. F.R.S. In Three Volumes., Edinburgh; Whittaker, Treacher, & Co. London, 1831. A Lost Sheep! Fragments of Voyages and Travels. By Captain Basil Hall, R.N. F.R.S. Second Series. In Three Volumes. Robert Cadell, Edinburgh; Whittaker, Treacher, & Co. London, 1832. A Lost Sheep! Frances Milton Trollope, Domestic Manners of the Americans 1832. Trollope’s very successful (and very controversial – she was not overly kind to the budding country, nor was Capt. Hall) Domestic Manners is not in the 1818 catalogue nor do I see it in the 1908 – the most interesting bit here is that Edward Austen would not send his son off to America… and also that the book was in the Godmersham library shortly after it was published in order for Charles to read it before his April 28 journal entry. ‘Monday August 13th … read & finished Ross Cox’. This title was initially indecipherable, but further sleuthing on Ms. Jones’s part tuned up a second reference to Ross Cox, so we know Charles was referring to Cox’s Adventures on the Columbia River (Henry Colburn & Richard Bentley, London, 1831). According to Wikipedia, Cox’s Adventures is one of the most important documents relating to the later history of the North West Company. Several geographic features in Canada, including Ross Cox Creek and Mount Ross Cox are named after him. Not in the Knight Collection or in the 1818 catalogue, so not officially a Lost Sheep. We are now into his Diary number 3, dated from August 13, 1832 – December 18, 1832. 9. George Montagu, Ornithological Dictionary (1802). The reference here is to [Lord] George Nugent’s Memorials of John Hampden (1832), not in the 1818 catalogue or in the Knight Collection. Stay tuned for more references of Charles Bridges Austen’s reading habits. I do think it worth noting that along with his interest in the Church and its laws and traditions, he obviously has a love of travel and adventure – a shame he never came to America to explore on his own. And thank you Hazel for sending all these diary entries to me and to Peter Sabor with help identifying some of the books. Hazel Jones is the author of Jane Austen & Marriage (Bloomsbury Continuum 2009, Uppercross Press 2017), Celebrating Pride & Prejudice (co-authored with Maggie Lane, Lansdown 2012), Jane Austen’s Journeys (Hale 2014) and is currently writing a book on Jane Austen’s Knight nephews. She was a tutor in the Department of Lifelong Learning at Exeter University until 2005 and continues to teach residential courses on aspects of Jane Austen’s writing, life and times. She is the membership secretary and a co-founder of the UK Jane Austen Society, South West Branch. **Winchester College, a boarding school for boys founded in 1382, had 70 scholars and 16 “Quiristers” (choristers). The statutes provided for ten “noble Commoners,” paying guests of the Headmaster, and later had up to 130 such boarders [Wikipedia]. 1. Austen, Jane. Jane Austen’s Letters. 4th ed. Ed. Deirdre Le Faye. Oxford, 2011. The Reading with Austen website focuses on the contents of the Godmersham Park library as noted in the 1818 catalogue of the collection. We know that Jane Austen read and rested in this library because her letters tell us so, and the RwA website has brought this long-ago library back to colorful life. So it is a very interesting treasure to stumble upon other mentions of this library. The scholar Hazel Jones [HJ]* has been very generous in sharing her research into the diaries of Austen’s nephew Charles Bridges Austen (later Knight), who also spent time in this very library. Ms. Jones is writing a book on Edward Austen Knight’s sons, and in reading (and transcribing) Charles Bridge’s diaries (which are housed at Jane Austen’s House Museum ), she finds numerous references to the titles he is reading. Listed here are the books in the library that Charles mentions, beginning with his diary entry for February 17, 1832. Not all these books were in the 1818 catalogue, often being published after that date, and therefore not part of the RwA project. But I list them just the same, as it shows the continuing depth and use of the library in succeeding years, as well as Charles’s reading habits and often humorous commentary. We must also consider that Charles had his own copies of books and why they do not appear in either the 1818 or 1908 catalogues. Willughby, Francis. The Ornithology of Francis Willughby of Middleton in the County of Warwick Esq; Fellow of the Royal Society. In Three Books. Wherein All the Birds Hitherto Known, Being reduced into a Method sutable [sic] to their Natures, are accurately described. The Descriptions illustrated by most Elegant Figures, nearly resembling the live Birds, Engraven in LCCVIII Copper Plates. Translated into English, and enlarged with many Additions throughout the whole Work: To which are added, Three Considerable Discourses, I. Of the Art of Fowling: With a Description of several Nets in two large Copper Plates. II. Of the Ordering of Singing Birds. III. Of Falconry. By John Ray, Fellow of the Royal Society. [Epigraph on title page]. London: Printed by A.C. for John Martyn, Printer to the Royal Society, at the Bell in St. Pauls Church-Yard, 1678. 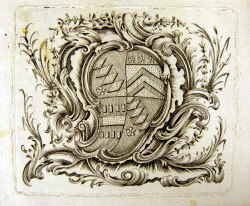 The book is in the Knight Collection with the Thomas Knight bookplate. Butler, Joseph. The Analogy of Religion, Natural and Revealed, to the Constitution and Course of Nature. To which are added Two brief Dissertations: I. Of Personal Identity. II. Of the Nature of Virtue. By Joseph Butler, LL. D. Rector of Stanhope, in the Bishoprick of Durham. [Epigraph on title page]. London: Printed for James, John and Paul Knapton, at the Crown in Ludgate Street, 1736. A Poetical Translation of the Works of Horace: with the Original Text, and Critical Notes collected from his best Latin and French Commentators. By the Revd Mr. Philip Francis, Rector of Skeyton in Norfolk. In Four Volumes. The Fourth Edition, Revised and Corrected. London: Printed for A. Millar, at Buchanan’s Head, opposite to Katharine-Street, in the Strand, 1750. 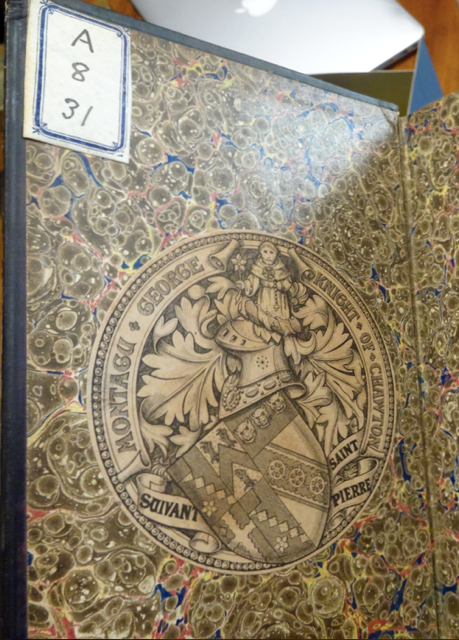 These volumes all contain Thomas Knight’s signature but have the MGK armorial bookplate – they are extant in the Knight Collection. Chesterfield, Philip Dormer Stanhope, Earl of (1694-1773). Letters written by the late Right Honourable Philip Dormer Stanhope, Earl of Chesterfield, to his son, Philip Stanhope, Esq; Late Envoy Extraordinary at the court of Dresden: together with several other pieces on various subjects. Published by Mrs. Eugenia Stanhope, from the originals in her possession. In four volumes. The second edition. London: Printed for J. Dodsley in Pall-Mall, 1774. Stay tuned for Part II as we continue with Charles’s reading … Thank you Hazel for sharing these with us! *Hazel Jones is the author of Jane Austen & Marriage (Bloomsbury Continuum 2009, Uppercross Press 2017), Celebrating Pride & Prejudice (co-authored with Maggie Lane, Lansdown 2012), Jane Austen’s Journeys (Hale 2014) and is currently writing a book on Jane Austen’s Knight nephews. She was a tutor in the Department of Lifelong Learning at Exeter University until 2005 and continues to teach residential courses on aspects of Jane Austen’s writing, life and times. She is the membership secretary and a co-founder of the UK Jane Austen Society, South West Branch. While the goal here is to locate works that were in the Godmersham Park Library [GPL] that have gone missing, there is also an interest in just seeing what authors and subjects were included in the collection. I have written previously about Samuel Johnson where we find some of the works in the existing Knight Collection at Chawton House and some are unfortunately Lost Sheep. “I am fully sensible than an Historical Romance founded on the House of Saxe Cobourg might be more to the purpose of Profit or Popularity, than such pictures of domestic Life in Country Villages as I deal in – but I could no more write a Romance than an Epic Poem. – I could not sit seriously down to write a serious Romance under any other notice than to save my Life, & if it were indispensable for me to keep it up & never relax into laughing at myself or other people, I am sure I should be hung before I finished the first Chapter.- No – I must keep to my own style & go on in my own Way…” (Ltr. 138(D), p. 312). 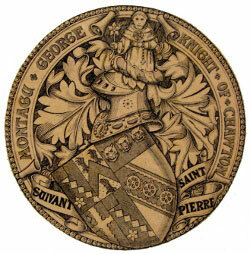 What we find in the GPL catalogue are only two works by Scott, and both remain in the Knight collection today. So no Lost Sheep. But we also find a good number of other Scott titles in this extant collection and so we might infer from this that the Austen Family were avid fans of Sir Walter Scott! In February 1813, Austen writes her sister about Pride and Prejudice being “too light & bright & sparkling” and writes that perhaps “something unconnected with the story; an Essay on Writing, a critique of Walter Scott, or the history of Buonaparte…” would offer the necessary contrast. Marmion; a tale of flodden field, by Walter Scott, Esq. In two volumes. Sixth edition. Edinburgh / London: Printed for Archibald Constable and Company, Edinburgh: and William Miller, Albemarle-Street and John Murray, London, 1810. “Ought I to be very much pleased with Marmion? – as yet I am not. – James reads it aloud in the Eveng – the short Eveng- beginning about 10 & broken by supper…” [Note that this Letter 53, dated June 20-22, 1808 is written from Godmersham]. “Charles’s rug will be finished today, & sent tomorrow to Frank, to be consigned by him to Mr. Turner’s care – & I am going to send Marmion out with it – very generous in me, I think.” [Ltr. 64: Jan 10-22, 1809]. Later, when writing about her just published Pride and Prejudice: “There are a few Typical errors – & a ‘said he’ or a ‘said she’ would sometimes make the Dialogue more immediately clear – but ‘I do not write for such dull Elves’ ‘As have not a great deal of Ingenuity themselves.’” [Ltr. 79: 4 Feb 1813]. The Lady of the Lake. A poem. By Walter Scott, Esq. The fourth edition. Printed for John Ballantyne and Co. Edinburgh; and Longman, Hurst, Rees, Orme, and William Miller, London; by James Ballantyne and Co. Edinburgh, 1810. Location at GPL: South Case: slip 1, shelf 2. “We began Pease on Sunday, but our gatherings are very small – not at all like the Gathering in the Lady of the Lake.” [Ltr. 75. 6 June 1811]. She writes to John Murray during her brother Henry’s severe illness: “My Brother begs his Compts & best Thanks for your polite attention in supplying him with a Copy of Waterloo.” [Ltr. 124: 3 Nov 1815]. – Scott’s poem The Field of Waterloo was published in 1815 and written to raise funds for the families of soldiers killed in the battle. (Le Faye, 450). It is not extant in the Knight Collection. And later that month, she writes again to Murray: “My Brother returns Waterloo, with many thanks for the Loan of it. – We have heard much of Scott’s account of Paris – it is be not incompatible with other arrangements, would you favour us with it – supposing you have a set already opened? – You may depend upon its’ being in careful hands.” [Ltr. 126: 23 Nov 1815]. -The reference is to Scott’s Paul’s Letters to His Kinfolk (Murray, 1815), his personal writings on his travels to the battlefield of Waterloo and through Paris and occupied France. This title is in the Knight Collection. The Antiquary title page, 1871 ed. The Antiquary, considered to be Scott’s own favorite of his novels, is in the current Knight Collection. The Lay of the Last Minstrel (1805): Austen directly quotes Scott’s chivalric romance on two occasions in Mansfield Park, one by Fanny and the other about Fanny, and this work, though not in the GPL catalogue, is in the Knight Collection. This is the poem that brought Scott instant success. Though an anonymous review, it was widely known to have been written by Walter Scott. This is still disputed by some critics. And whether Austen knew if her “so clever a Man” was Scott has also not been definitively established. I have amused myself occasionally very pleasantly during the last few days, by reading over Lady Morgan’s novel of _O’Donnel, which has some striking and beautiful passages of situation and description, and in the comic part is very rich and entertaining. I do not remember being so much pleased with it at first. There is a want of story, always fatal to a book the first reading–and it is well if it gets a chance of a second. Alas! poor novel! Also read again, and for the third time at least, Miss Austen’s very finely written novel of _Pride and Prejudice_. That young lady had a talent for describing the involvements and feelings and characters of ordinary life, which is to me the most wonderful I ever met with. The Big Bow-wow strain I can do myself like any now going; but the exquisite touch, which renders ordinary commonplace things and characters interesting, from the truth of the description and the sentiment, is denied to me. What a pity such a gifted creature died so early! Wrote five pages of the _Tales_. Walked from Huntly Burn, having gone in the carriage. Smoked my cigar with Lockhart after dinner, and then whiled away the evening over one of Miss Austen’s novels. There is a truth of painting in her writings which always delights me. They do not, it is true, get above the middle classes of society, but there she is inimitable. Images of Marmion and The Lady of the Lake: the Reading with Austen website. And ever since, much has been made of both these writers, scholars mining Austen’s works to find any possible allusion to either. Today I am going to deal with Samuel Johnson (see here for the Cowper volume we are hoping to return to Chawton). It is interesting to see which of his works or works about him are in the 1818 catalogue of Edward Austen’s Godmersham Park Library [GPL], and interesting to see the many that are not, Rasselas for example. If we look at Austen’s letters, we find several references to Johnson: in November of 1798 she writes to Cassandra: “We have got Boswell’s ‘Tour to the Hebrides’, and are to have his ‘Life of Johnson’; and, as some money will yet remain in Burdon’s [a bookseller] hands, it is to be laid out in the purchase of Cowper’s works.” [Ltr. 12, Le Faye]. Boswell’s The Journal of a Tour to the Hebrides (1785) was published as an accompaniment to Johnson’s own 1775 publication Journey to the Western Islands of Scotland (1775), both chronicling their trip together to Scotland in 1773. Boswell’s Life of Johnson was published in 1791. These two works that Austen mentions would be added to the family library at Steventon; so one wonders if when Mr. Austen moved the family to Bath in 1800, just two years later, were these books sold as part of his library of 500 books? And did Edward have either in his Godmersham Library? – The 1st edition of Boswell’s Life is listed and is unfortunately a Lost Sheep – interesting to note that it is listed in the typewritten 1908 catalogue, but is crossed out in two places. Boswell’s Tour is not noted in the GPL catalogue at all, but Johnson’s Journey is (see below – we found it in the archives of Amherst!). “I WISH you could have looked over my book before the printer, but it could not easily be. I suspect some mistakes; but as I deal, perhaps, more in notions than in facts, the matter is not great, and the second edition will be mended, if any such there be. The press will go on slowly for a time, because I am going into Wales to-morrow.” [Life of Johnson, ii, 279]. In November 1807, Austen again writes of Cowper and Johnson. She is speaking of Henry’s manservant William: “I am glad William’s going is voluntary, & on no worse grounds. An inclination for the country is a venial fault. – He has more of Cowper than of Johnson in him, fonder of Tame Hares & Blank Verse than of the full tide of human Existence at Charing Cross.” [Ltr. 95, Le Faye; referring to a Cowper poem and a Johnson letter in Boswell’s Life]. 1. The Idler. In two volumes. 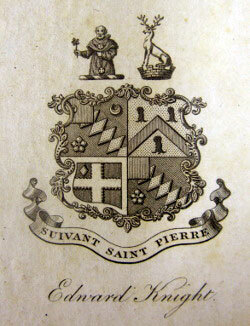 London: Printed for J. Newberry, 1761. 1st ed. 2. The Rambler. In four volumes. London: Printed for A. Millar, in the Strand; J. Hodges; J. And J. Rivington; R. Baldwin; and B. Collins, 1756. 1st ed. 4 vols. Read online: various editions are available. 3. The Adventurer. London: Printed for C. Hitch, and L. Hawes, J. Payne, and R. Baldwin; and R. and J. Dodsley, 1756. 3rd ed. 4 vols. 4. The Lives of the Most Eminent English Poets; with critical observations on their works. By Samuel Johnson. In four volumes. London: Printed for C. Bathurst, J. Buckland, W. Strahan, J. Rivington and Sons, T. Davies, 1781. 1st ed. 5. A Journey to the Western Islands of Scotland. London: Printed for W. Strahan; and T. Cadell in the Strand, 1775. 1st ed. 6. A Dictionary of the English Language: in which the words are deduced from their originals, and illustrated in their different significations by examples from the best writers. To which are prefixed a history of the language and an English grammar. By Samuel Johnson, LL. D. In two volumes. The tenth edition, corrected and revised. London, 1810. 7. A Dictionary of the English Language: in which The Words are deduced from their Originals, and Illustrated in their Different Significations by Examples from the best Writers. To which are prefixed, A History of the Language, and An English Grammar. By Samuel Johnson, A. M. In Two Volumes. London: Printed by W. Strahan, For J. and P. Knapton; T. and T. Longman; C. Hitch and L. Hawes; A. Millar; and R. and J. Dodsley, 1755. 1. The Life of Samuel Johnson, LL.D. comprehending an account of his studies and numerous works, in chronological order …. London: Printed by Henry Baldwin, for Charles Dilly, 1791. 1st ed. 2 vol. “But all this, as my dear Mrs. Piozzi says, is flight & fancy & nonsense…” [Ltr. 62, Le Faye, who says this quote is “substantially accurate” from Piozzi’s Letters to and from the Late Samuel Johnson (1788)]. 1. Anecdotes of the Late Samuel Johnson, LL.D. during the last twenty years of his life. By Hesther [sic] Lynch Piozzi. London: Printed for T. Cadell in the Strand, 1786. 1st ed. 2. Letters to and from the Late Samuel Johnson, LL.D. To which are added, some poems never before printed. Published from the original mss. in her possession, by Hester Lynch Piozzi. London: Printed for A. Strahan; and T. Cadell, 1788. 1st ed. 2 vols. 3. Observations and Reflections Made in the Course of a Journey through France, Italy, and Germany. By Hester Lynch Piozzi. London: Printed for A. Strahan; and T. Cadell in the Strand, 1789. 1st ed. 2 vols. This title has been found! and resides in a private collection. So, as you can see, a good number of lost sheep – if you should locate any of these Johnson-related books with any of the Knight family bookplates, please contact us here. Thank you! This is at this moment the Godmersham Lost Sheep Society’s Holy Grail. William Cowper’s Poems. Cowper was Jane Austen’s favorite poet (or so her brother Henry tells us in his “Biographical Notice”]. It was located in the Godmersham Library in the South Case: column 1, shelf 3, and a book that Jane Austen would certainly have read there while visiting. This title, unlike the majority of the Lost Sheep, is actually for sale – and unfortunately way beyond our collective pocketbooks – from Bernard Quaritch Ltd. of London. Here is the description on Abebooks – see the reference to the all-important Montagu George Knight bookplate and a little bit of the history of Jane Austen and Cowper. Cowper, William. Poems London: printed for J. Johnson 1782. [With:]_________. The Task, a Poem, in six Books To which is added An Epistle to Joseph Hill Tirocinium, or a Review of Schools, and the History of John Gilpin. London: Printed for J. Johnson 1785. If you would like to contribute to the Lost Sheep Fund and help in facilitating the return of this book, we would be most grateful – and you will become one of the esteemed members of our community of GLOSSers. Please contact us here for more information. Images: Abebooks and the RwA website, courtesy of Bernard Quaritch, Ltd. This book was found online, purchased by a few of us GLOSSers, and is now returned to the Library at Chawton House. It was in the 1818 catalogue and shelved in the East Case: column 5, shelf 6. Milton, John. Paradise Lost. A Poem. Book The First. Paradisus Amissa. Poema, A Joanne Miltono Conscriptum (Latin and English). J. Hughs, 1736. 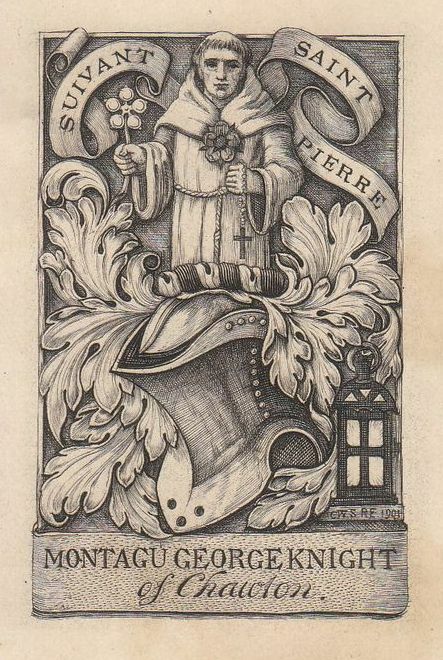 Bookplate of Montagu George Knight of Chawton to front end paper. Welcome to the “Reading with Austen” Blog! The Reading with Austen website is a re-creation of the Library of Godmersham Park, the estate of Jane Austen’s brother Edward Austen Knight. This virtual library is based on an extant handwritten catalogue from 1818 that lists all the books in his collection and their exact locations on his shelves. Here you can explore the Library as Jane Austen might have seen it on her many visits to the Godmersham estate. On the website you will be able to browse photographs of and bibliographic information for the very editions she may have handled. You can read the history of the project, spearheaded by Professor Peter Sabor of McGill University on the website and on the pages on this blog (see the sidebar]. The first post on this blog gives a brief history and explanation of what we continue to search for and how you can help us. In this effort to locate the many books still missing from this original Godmersham collection, a group of scholars, researchers, bibliophiles, and interested people has been created – we call ourselves The Godmersham Lost Sheep Society – GLOSS – and invite any and all of you to join us in this search. 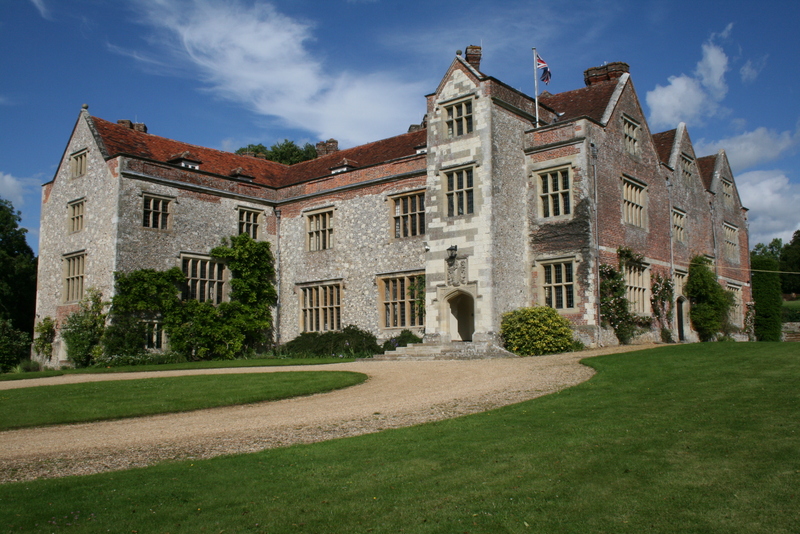 On this blog, I will be posting some of the books we have found and returned to the Library at Chawton House, where the remaining titles from the original library now reside (in the Knight Collection and still owned by Austen’s descendant). And I will also post about the books we have found but are beyond our pocketbooks, those that we have found in institutions, and those 500 or so remaining titles we are still actively looking for. Please follow us in this journey and help us in our quest to return as many of these books to the fold – you too can become an official GLOSSer! * The Godmersham Lost Sheep Society (GLOSS) is a research group of scholars and bibliophiles searching for all books that were originally in the libraries of Godmersham Park and later Chawton House, both estates of Jane Austen’s brother Edward Austen Knight. Edward Austen Knight inherited three estates from his adoptive family the Thomas Knights: Godmersham Park in Kent, and Chawton House and Steventon in Hampshire. Godmersham and Chawton had large extensive libraries typical of the gentry of the time. Edward had a catalogue of the Godmersham Library compiled in 1818, listing about 1250 titles. These books were later combined with the Chawton House Library when Godmersham was sold in 1874, with many of the volumes sold or otherwise distributed over the years. 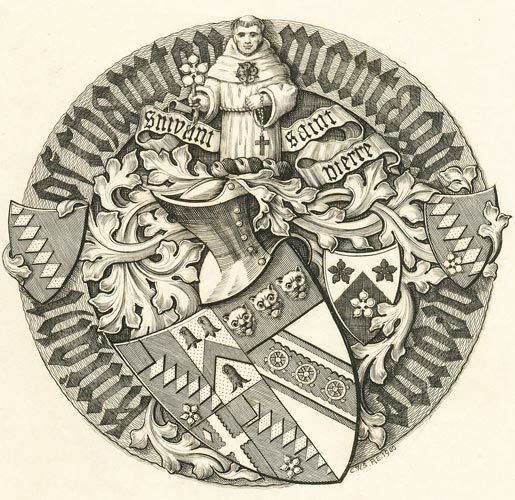 [Montagu George Knight, grandson of Edward Knight, placed his bookplates in most of the books of this combined library, as well as in the books he added to it. The remaining library (called the “Knight Collection” and still in the family) is now housed at Chawton House Library, which serves as an important literary heritage site and a center for the study of early women writers]. We know Jane Austen spent a considerable amount of time in both these libraries – and an ongoing project has been to try to locate the missing volumes that have wandered away and might still be extant in libraries, in book collectors’ homes, or on bookseller shelves – the “Lost Sheep” of Godmersham Park. Initiated and run by Professor Peter Sabor (Canada Research Chair in Eighteenth-Century Studies and Director of the Burney Centre at McGill University), this is a web-based open-source project that will include the Knight family books that are recorded in the catalogue of 1818, as they were on the shelves – a virtual library so to speak. You can visit the Reading with Austen website here; phase I of the project launched in 2018, the bicentenary of the original catalogue. While it would be a final goal to locate all the missing titles that are out there, this digital project will create for us what Jane Austen would have seen and read when visiting her brother. These images would be used on the website, with or without your name as the book’s current owner/location (this is up to you). Some of those found thus far have been privately purchased and donated back to the Library at Chawton House (they do not have funds for this project). If you would like to “return” the book to Chawton to be part of their permanent collection, you would become one of GLOSS’s Team Heroes and we would be forever grateful. All donations are tax-deductible. Or, if you would consider selling the book back to CH now or in the future (or making a donation to the cause so we can purchase books as they become available – you can do that at the “North American Friends of Chawton House” website), we would add it to our wish-list of purchases and ask that you send the pictures noted above so it can be added to the website. Progress is slow, and because every book may not be able to return home, we hope this virtual library will serve as a useful research tool for future studies of reading habits in the eighteenth and nineteenth centuries.